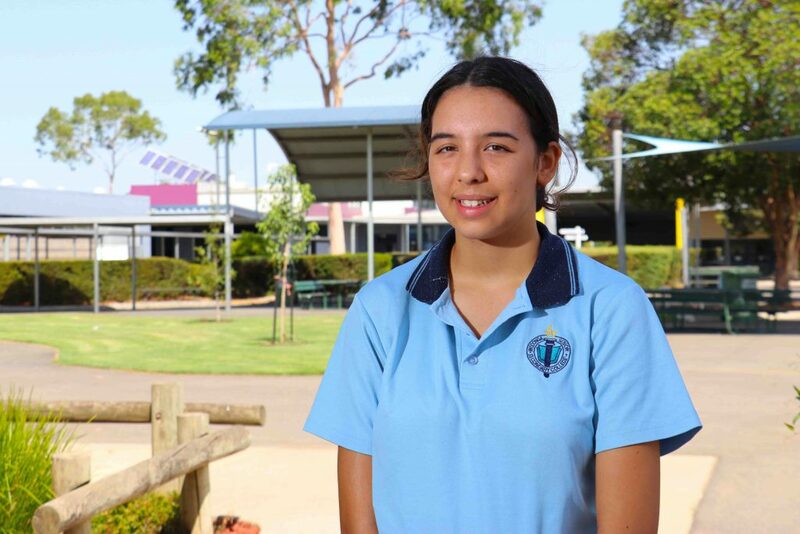 Year 11 student Katana Tolman was one of a select group of students nation-wide to receive a scholarship with the Aboriginal Summer School of Excellence in Technology and Science (ASSETS) in the field of marine biology. Katana has developed a strong passion for science whilst studying our College and Wishes to pursue a career in marine biology after graduating from the College. Year 11 student Katana Tolman sharing her experience at the STEM focussed summer camp. At the start of December 2018, Katana joined a group of 35 other like minded students from around Australia at the STEM focused summer camp for 9 days. One component of the camp involved students splitting up into groups, which provided an opportunity to focus on a particular area of interest. Students were required to create a presentation which they would then need to present back to the group their findings in the lecture theatre, Katana’s group focused on micro-plastics. As part of the summer camp, one component involved students splitting up into groups to focus on a particular area and create a presentation which they would then need to present back to the group in a lecture theatre about their findings. Students worked with a range of university lecturers from James cook University, Townsville and industry professionals as part of the STEM component of the event. In addition to this the students were also gained a greater appreciation and understanding of the Koori culture, hearing from a range of speakers. Katana Said “It was a fantastic opportunity and would definitely recommend this to other Koori students who have an interest in pursuing science as a career and get to know other like-minded students from around the country”.